Genevieve and I found ourselves stir crazy and ready to be outside. It was amazing to see her demeanor change the second the weather warmed and she got fresh air. Our bodies crave nature and I really believe it helps recenter us. I have always loved this season. There is a feeling of hope in the air and all the neighbors start emerging from the indoors. One of my favorite activities is planning our annual garden and deciding which flower bed to up-haul and redo this year. Genevieve had fun playing with caterpillars and worms as we dug up the garden. She may have even eaten a few handfuls of dirt. 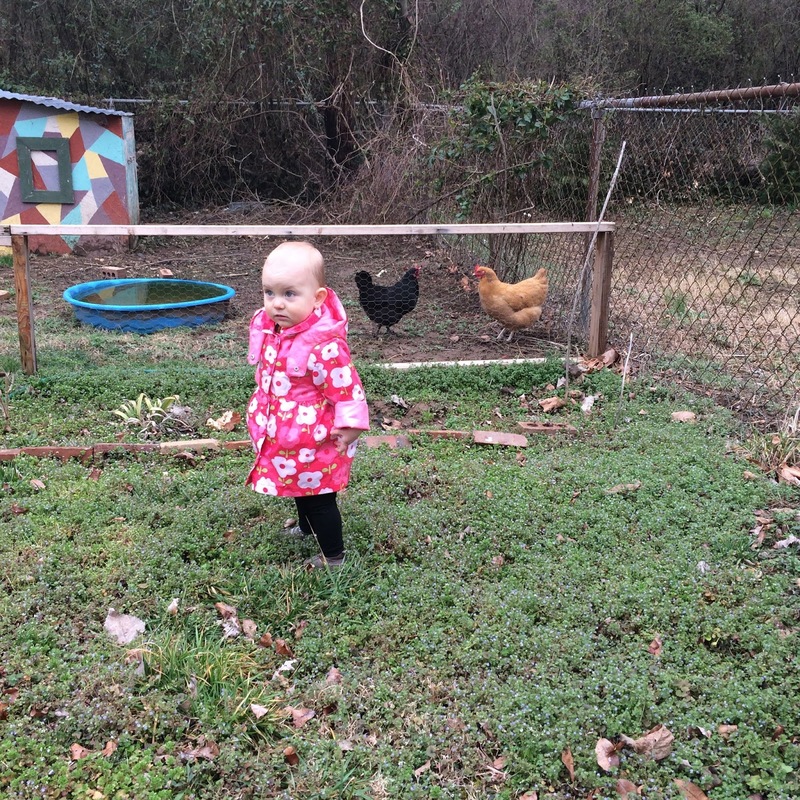 And now that it's warms she joins Michael after work to go get the eggs from the chickens. Toddlerhood has made all of this so much more fun. And with the warm weather we find ourselves at the zoo weekly, if not 2 times in a week. My mother-in-law gifted us with a zoo membership and it has been WONDERFUL! 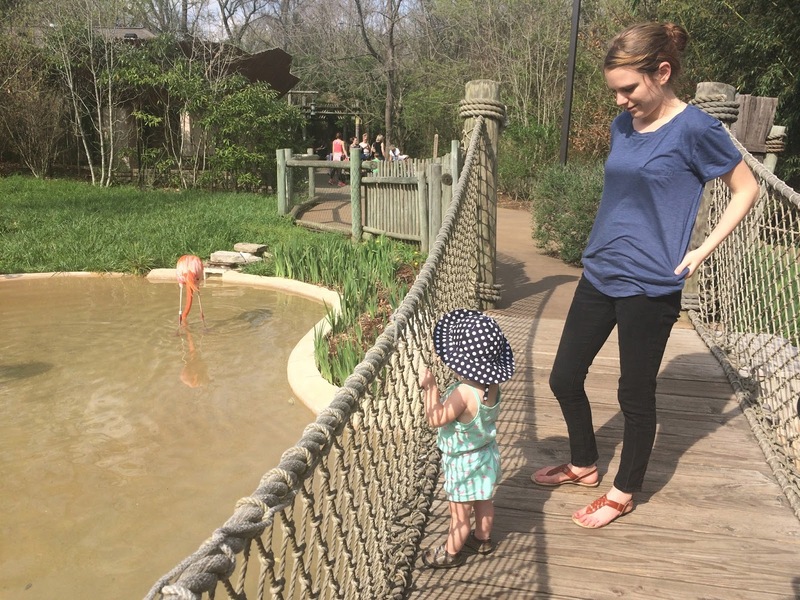 Genevieve loves the flamingos, goats, and red pandas the best. 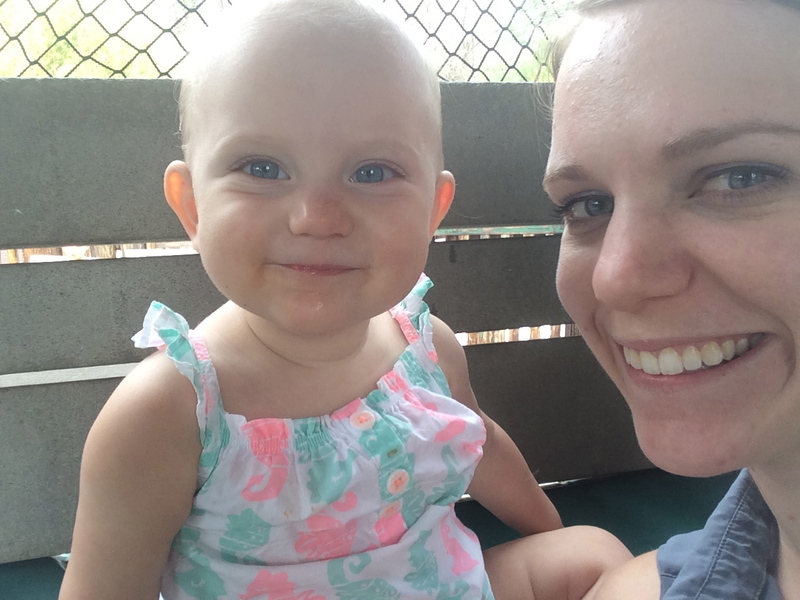 She calls most animals "doggie" and the flamingos are called "Lulu", the name of her ostrich stuffed animal - close enough ;) But the best part of the zoo is the toddler play area. She could run around in there for hours. Seriously, the joy on her face radiates. I was almost brought to tears watching how happy she was. And she makes 'friends' everywhere she goes. There's always a 4-6 year old that gravitates to her and gives hugs. She's a social little girl. 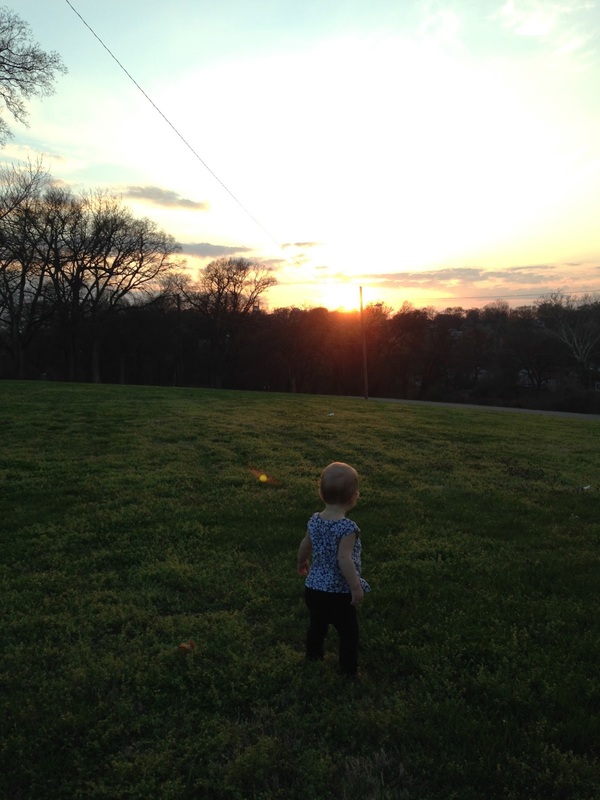 Easter celebrations, egg hunts, picnics at the park, swings and playgrounds, fields to run in, Earth Day festival, hanging out with her baby friends, time spent in the yard, and lots of walks in the evening have made this season full of new life and joy. 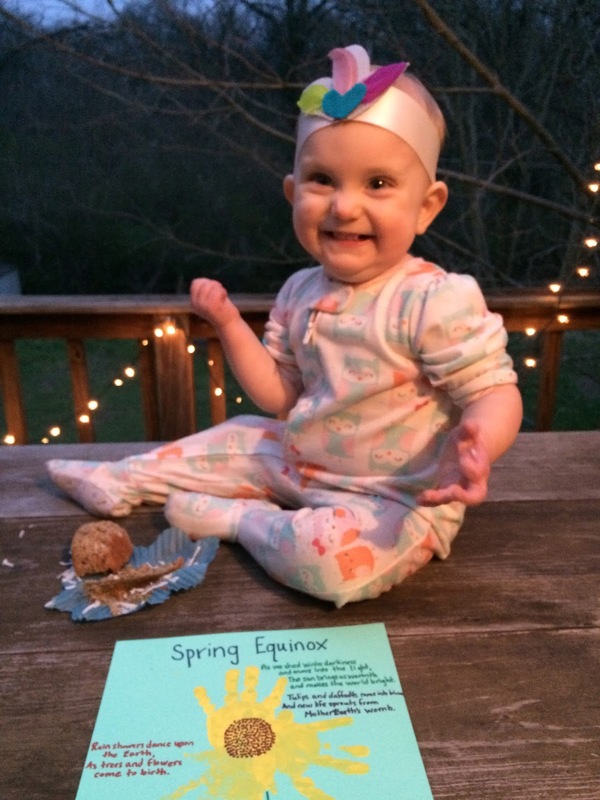 So far, with the Moody family, we have celebrated the Autumn Equinox, Winter Solstice, and now the Spring Equinox. We even had a few more friends join us this time. Our seasonal celebrations always include a poem reading (which turns into a wonderful performance by Jonathan Moody) and a candle to blow out welcoming the new season. We also do a little craft. This season we made spring headbands with feathers and flowers. 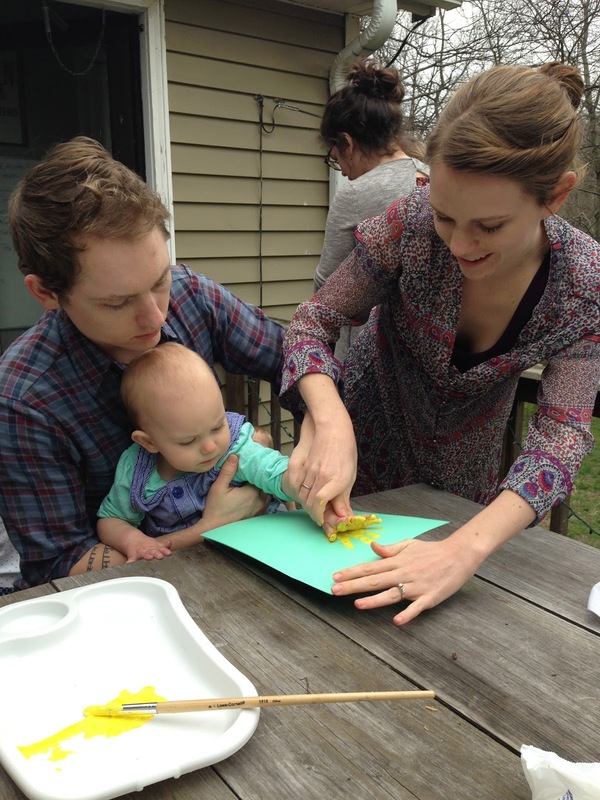 It will always be a family tradition to stop and acknowledge the change of seasons as a part of our life's rhythm. The sun brings us warmth and make the Earth bright. And new life sprouts from Mother Earth's womb. As trees and flowers come to birth. We do all these things to help the Earth grow. 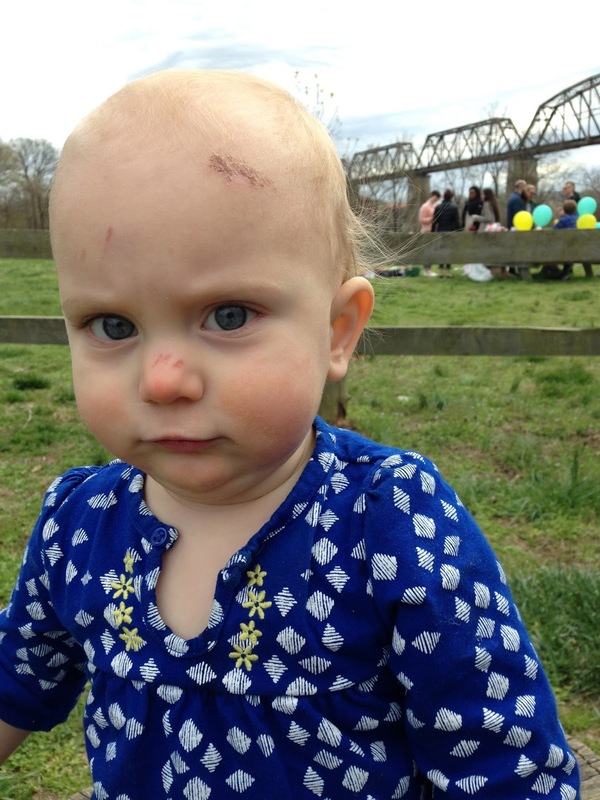 The face of a baby learning to walk - full of scraps and bruises. May your curiosity and sense of adventure never wane. May you always be fascinated by this Earth, all the way down to the caterpillars and blades of grass. As your independence grows and you become fearless, may you learn to love and care for all those around you (especially your parents ;) You make this world a wonderful place!